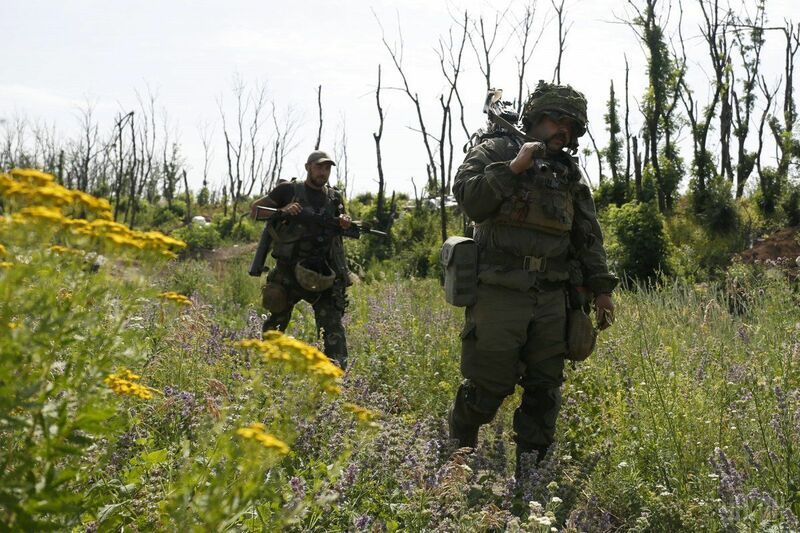 Russia's hybrid military forces attacked Ukrainian army positions in Donbas 28 times in the past 24 hours, with four Ukrainian soldiers reported as wounded in action (WIA), according to the press service of the Anti-Terrorist Operation (ATO) Headquarters. In the Mariupol sector, the militants used 122mm artillery systems twice against the Ukrainian fortified positions near the villages of Talakivka and Vodiane. At about 20:00 Kyiv time, the enemy launched at least six artillery shells of 152mm caliber near Vodiane, in the area where no Ukrainian positions are located. In addition, the Ukrainian fortified positions near the village of Hnutove came under mortar fire twice at the end of the day, while the outskirts of the village of Pavlopil were shelled from grenade launchers. In the Donetsk sector, the situation remains tense in the Avdiyivka industrial zone. Read alsoMilitants destroy infrastructure, crops near Mariupol – ATO HQ"From 19:00 until midnight, the occupiers were firing 120mm mortars, grenade launchers, heavy machine guns and small arms on the Ukrainian defenders, who were forced to return fire. One Ukrainian soldier was wounded as a result of the confrontation. In the evening and overnight, militants opened fire outside the villages of Luhanske, Troyitske and Zaitseve, and Butivka coal mine," the report says. Read alsoNATO criticizes Russia, Belarus for avoiding transparency in Zapad-2017 drillsIn the Luhansk sector, the invaders fired mortars and grenade launchers on the Ukrainian fortified positions near the villages of Novo-oleksandrivka and Krymske, leaving two Ukrainian soldiers wounded.